The network anthology dramas began by adapting recent Broadway plays, as well as a public domain "classics." But as television audiences and the number of dramatic shows grew, producers began seeking original "teleplays." The writers that responded to the call are often credited as being the backbone of the Golden Age, bringing an array of psychologically complex, ambitious stories to the small screen. NBC's Fred Coe and CBS's Worthington Miner did much to promote the notion of television drama as a "writers' medium." 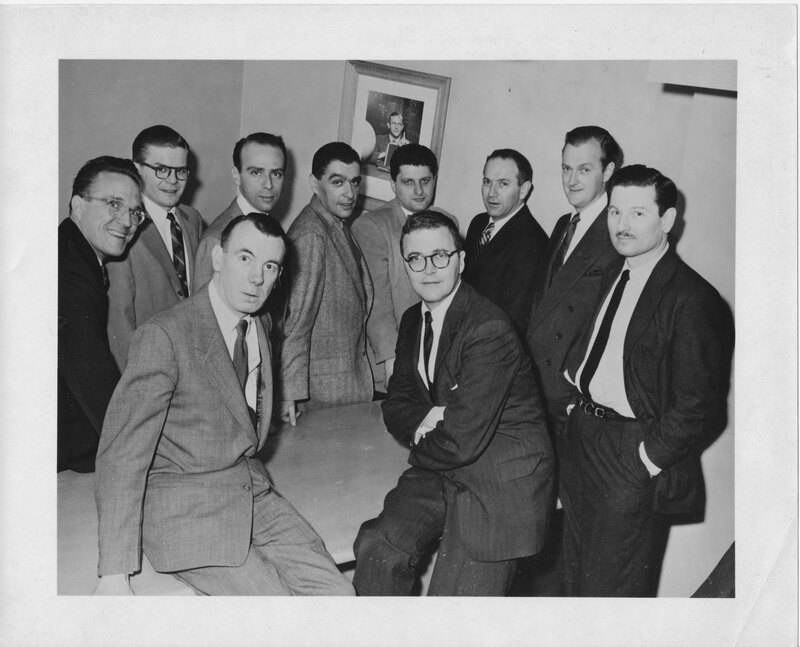 Television offered writers smaller salaries than film, but producers like Coe and Miner permitted them greater creative control. The realist bent of much anthology drama—minimal plots, unglamorous milieux, a dose of complex psychology—lent it some of the contemporary New York theater's cultural prestige. Television writers were both a reason for, and a beneficiary of this prestige. Some, like Rod Serling and Paddy Chayevsky, achieved fame in their own right for teleplays like "Patterns" and "Marty." In 1955 and 1956—the height of the Golden Age—major publishers released a flurry of collections of teleplays by Chayefsky, Serling, Horton Foote, Tad Mosel, Reginald Rose, Gore Vidal, and others. Many such plays were remade as feature films and entered the amateur and professional theatrical repertory. Thanks in large part to its writers, television drama began to be considered a serious art form by cultural observers. From Playwrights '54 to Playwrights '56 - An attempt by several writers to create a corporation to protect their interests is documented here. "The Days of Wine and Roses": The Evolution of a Script - In addition to the papers of television writers, those of networks, talent agents, directors, and producers contain scripts, script drafts, and letters that provide insight into the process—sometimes solitary, more often collective—of conceiving and writing an anthology episode. Our page on this well-known episode of Playhouse 90 (later adapted into a feature film) takes a closer look at the process of conceiving and writing a teleplay via documents at the WCFTR. Jon Kraszweski. The New Enterpreneurs: An Institutional History of Television Anthology Writers. Middletown, Connecticut: Wesleyan University Press, 2010.